ERIE — Freshman pitcher Heather Picard (Clearfield) was 2-1 with two complete games in four appearances for runner-up Mount Aloysius in the 2014 Allegheny Mountain Collegiate Conference Championships at Behrend Field last weekend to finish her rookie season with a 13-6 record. Both of her wins were against No. 6 seed La Roche. She got the third-seeded Mounties off to a great start in the double-elimination tourney, limiting the Lady Redhawks to five hits in a five-inning, 10-2 victory Friday morning while striking out two and walking two. In the rematch Saturday afternoon, Picard pitched into the seventh inning of a 9-5 win that sent the Mounties to the elimination bracket final. She fanned four and issued three walks, giving up 10 hits and the five runs before Bridgit Yothers came on to get the final out. Picard was unable to keep defending champ Penn State Altoona under control in her other two outings, relieving Kelsey Ickes and surrendering three hits, one walk and five runs, four earned, while retiring only one Lady Lion in a 12-4 loss Friday and giving up 11 hits, one walk and 10 runs, nine earned, in a 10-5 setback Sunday. She was handed the ball for the title game because Ickes (14-4) had shut down No. 4 seed Pitt-Bradford on five hits in a 9-3 elimination final victory Sunday morning. Picard had Mount Aloysius (28-12) on the verge of forcing an extra game for the championship by holding Penn State Altoona to five hits and three runs through five innings as the Mounties led 5-3. However, the Lady Lions parlayed six hits and an error into seven runs and a 10-5 win. 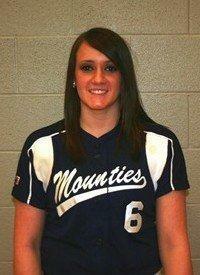 Kelly Chambers (Snow Shoe/Bald Eagle Area H.S.) capped the rally with a three-run homer, and freshman Kate Burge (Philipsburg/Philipsburg-Osceola Area H.S.) got the final three outs in relief of winner Raychel DeArmitt (Pleasant Gap/Bellefonte Area H.S.). The two bad innings against Penn State Altoona caused Picard’s earned run average to soar to 3.71 after entering the tourney at 2.97. The 5-9 right-hander led the Mount Aloysius staff in appearances (24), starts (11) and innings pitched (117) and was second to Ickes in complete games (11) and strikeouts (91). Picard gave up 137 hits, 79 runs and 37 walks and hit four batters. In AMCC stats, Picard ranked third in wins, second in appearances, third in starts, ninth in complete games, seventh in strikeouts and 10th in ERA. 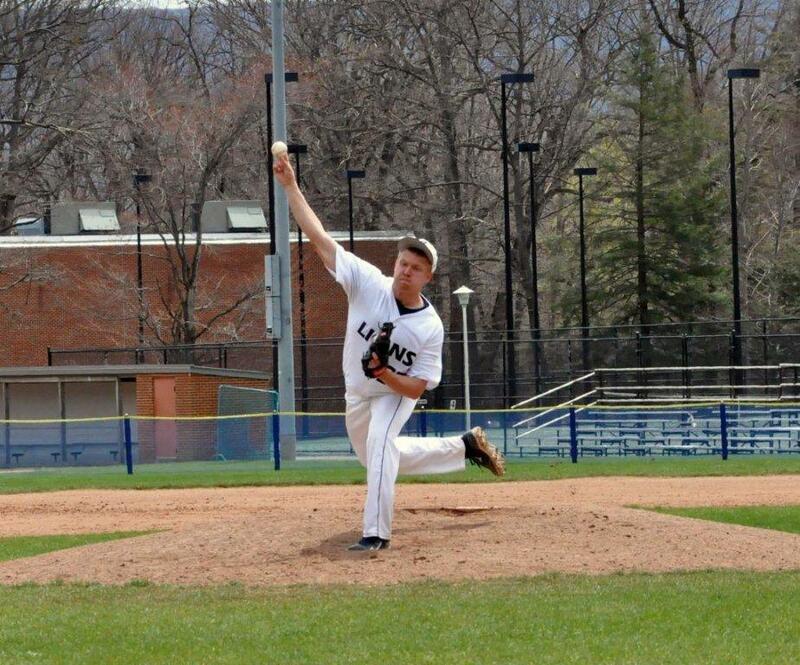 GROVE CITY — Senior right-hander Chad Zurat (Clearfield) picked up his seventh win of the season Saturday as Penn State Behrend tuned up for this weekend’s Allegheny Mountain Collegiate Conference Final Four by sweeping Grove City 4-2 and 5-1. Zurat (7-2) made his ninth start in the opener and pitched four innings of one-hit ball, striking out five and walking four while allowing two earned runs. Following him to the mound were Justin Rohrer with two innings for the hold and Connor Semple with one clean frame for the save. Five days earlier, Zurat went the distance on a two-hitter with 15 strikeouts in shutting out Pitt-Bradford 3-0 to clinch second place in the AMCC for the Lions. Zurat was recognized for the two outings with Behrend’s Enterprise Rent-A-Car Athlete of the Week laurels. He logged a 1.64 earned run average for his 11 innings on the bump. The defending champion Lions will take a 27-12 record with 11 wins in the last 12 games to Pittsburgh for the double-elimination AMCC title tourney at the LaRoche Field. They’ll be relying heavily on an outstanding pitching staff that boasts a conference-best 271 strikeouts and a 3.07 ERA that is tied for the top spot. Zurat’s ERA is 2.39, while Dante DeSantis (DuBois/DuBois Central Catholic H.S.) is 8-2 with a 2.18 ERA and Rohrer leads the AMCC with an 0.87 ERA and three saves. Behrend and No. 3 seed Mount Aloysius (19-18) will play the first game Friday at noon, followed by regular season champ La Roche (27-13) hosting No. 4 seed Pitt-Greensburg (20-18) at 4 p.m.
Action resumes Saturday with the first of three games at 9 a.m. The title will be decided Sunday with at 11 a.m. or, if an additional game is necessary, at 2 p.m.
Zurat is tied for third in the AMCC in wins and is fourth in strikeouts (61), tied for fifth in starts, sixth in ERA and seventh in innings pitched (52.2). ALTOONA — Freshman Kurtis Krise (Woodland/Clearfield Area H.S.) pitched six innings against Penn State Harrisburg at Stewart Athletic Field Monday, April 28, to notch his third win in five decisions for Penn State Altoona. The right-hander gave up seven hits and five runs, two earned, in the 7-5 non-conference victory that Mike Marley saved with a 1-2-3 seventh inning. Krise struck out four and walked three. Krise’s season ended prematurely because of injuries he suffered in a car accident later that night. Penn State Altoona earned a berth in the Allegheny Mountain Collegiate Conference Championships as the No. 6 seed with an 8-10 record but was eliminated by No. 3 seed Mount Aloysius 13-0 and 11-2 in Saturday’s first-round series to finish 17-25. Krise’s 4.54 earned run average for 37.2 innings of work led the Lions. His 4.71 innings per appearance also were tops. He had 20 strikeouts and 10 walks in his eight appearances, completing three of his six starts. 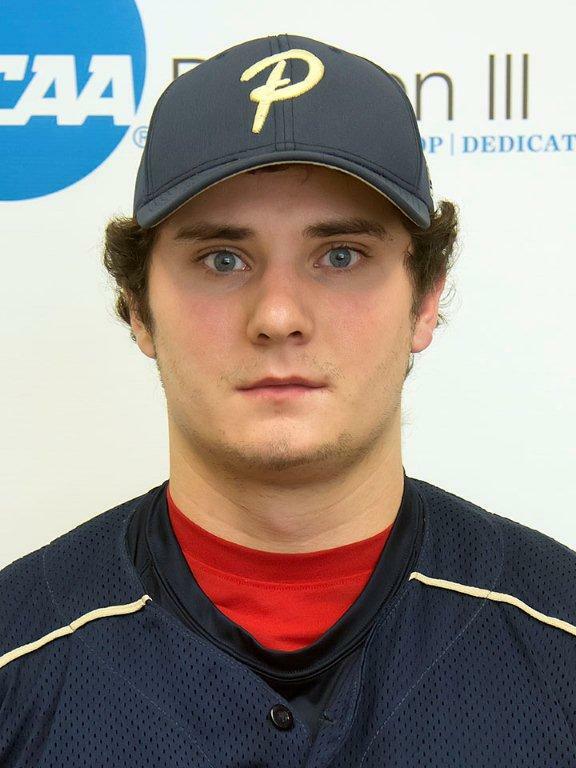 GREENSBURG — Senior Sam Gardner (Curwensville) had two hits and drove in three runs in his final week as a starting outfielder at Pitt-Bradford with his career ending in the Allegheny Mountain Collegiate Conference Championship Tournament first round Saturday. The No. 5 Panthers were ousted by No. 4 Pitt-Greensburg 4-2 and 4-1, with Gardner making his 69th career start in the nightcap. 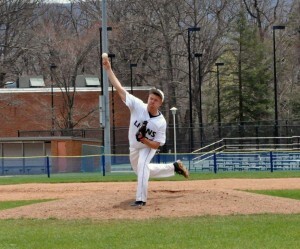 He socked both of his hits in the split of a non-conference doubleheader at Alfred (N.Y.) State Thursday. On track for his third consecutive .300-plus average at the plate for most of the season, Gardner tapered off in the stretch to finish at .282 with 22 hits, including eight doubles and one home run. He drove in 18 runs and scored 14. Pitt-Bradford tied for fourth place in the AMCC at 9-7 and was 20-15 overall. Because of a mid-season injury, Gardner was limited to 29 games, all but one as a starter. For his career, Gardner was 63-for-213, a .296 average, with 15 doubles, two home runs and 36 RBIs. He drew 20 walks, was hit by a pitch five times and stole 10 bases in 13 attempts. In the field, Gardner committed only two errors in 82 chances, none in 32 chances this year. SHIPPENSBURG — Freshman Jessica Shomo (Clearfield) closed her rookie season for Clarion by helping the Golden Eagle 4×100 relay foursome break the school record twice in the 2014 Pennsylvania State Athletic Conference Championships at Seth Grove Stadium. Shomo, who ran the leadoff leg, teamed with Courtney Corban, Anna Pfingstler and Jessica Vitous as they erased their own record of 49.57 seconds with a 48.95 performance in Friday’s preliminaries and came back with a 48.58 time that was good for fifth place in Saturday’s finals. The sprint unit contributed four points to Clarion’s total of 27. The Golden Eagles placed 12th in the 14-team field. Shomo just missed picking up points in the long jump, too, her personal-record leap of 17 feet, 5½ inches (5.32 meters) landing her in a tie for 10th place. PITTSBURGH — Freshman Rebecca Johnson (Grampian/Curwensville Area H.S.) competed in two events for St. Francis in the Northeast Conference Championships at the Robert Morris University Island Sports Center on Neville Island Saturday. She finished 12th in the 3,000-meter steeplechase in 13:31.31 and anchored the 4×800 relay team that finished in a season-best 10:49.73. Johnson’s personal record for the steeplechase is 13:16.74 set in RMU’s Benny Benson Memorial Classic on April 12. She registered her first collegiate victory with a 13:31.85 effort in the steeplechase as St. Francis totaled 79 points to best Robert Morris in the Red Flash Open at the Father Bede Track on April 26. COLLEGE PARK, Md. — Penn State senior Gwenn Porter (Clearfield) ran 1,500 meters in 5:05.413, placing 25th, in the Kehoe Twilight Meet at the University of Maryland’s Kehoe Track Complex Friday evening. The Lady Lions amassed 210.5 points to easily win the seven-team invitational.